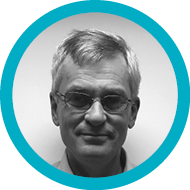 Dr. Julian Brown is a General Practitioner in West Norfolk and founder of Eclipse Solutions. His web-based systems are now protecting more than 10 million patients. He has been a GP for 23 years and has had a special interest in diabetes since 2006. He was the GP Prescribing Lead for Norfolk from 2008-2013 and the Long Term Conditions Lead for West Norfolk CCG from 2013-2015. He is considered one of the leading experts on admission avoidance systems and is researching the improvement of outcomes through automated patient feedback, best practice identification and patient self-manangement plans. He is passionate about optimising health economics through IT and the utilisation of population health management. Carol Roberts is Director of Strategic Prescribing at Eastern Academic Health Science Network (EAHSN). 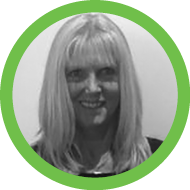 Carol Roberts is the lead pharmacist for the East of England Strategic Health Authority having been the Head of Medicines Management at both West Essex PCT and then Waltham Forest PCT. She is passionate about medicines management and has introduced many innovative schemes to enhance medicines management in the East of England. Dr Yogini H Jani is a Consultant Pharmacist (Medication Safety) at UCLH NHS Foundation Trust and Director of the Centre for Medicines Optimisation Research and Education, with academic commitments at the UCL School of Pharmacy. She has been awarded a Health Foundation Improvement Science Fellowship to conduct research to improve the safety of antimicrobials use in patients with penicillin allergy. Dr Jani’s areas of expertise and research include medication safety in acute hospitals, care homes, and paediatrics; technology evaluation; developing inter-professional education to improve prescribing practice and medication safety, and improvement science. She led an influential quality improvement project on preventable dose omissions, which subsequently influenced the development and spread of the national medication safety thermometer in England. Stephen is a Medical Director for Optum where he is also the Senior Quality and Clinical Governance Officer. Stephen has been a GP in South Oxfordshire for 28 years. He has more than fifteen years experience working in commissioning having been Oxfordshire’s PEC Chair, the first PCT Medical Director and first CEO of Oxfordshire CCG. He was the lead for prescribing for more than 10 years. Stephen has also worked as a Regional GP advisor for London for the CQC for two years at the same time as working as a clinical associate for KPMG before joining Optum in 2015. Stephen makes intermittent contributions to the work of the NHS Leadership Academy and has contributed to publications by the Health Foundation and Nuffield trust relating to change at scale within the NHS. Karen has over twenty years’ experience delivering environmental programmes working for both the private and public sectors here and in the United States. Before moving to the United Sates Karen gained her PhD in pharmacology studying the causes of asthma. She started her environmental career in San Francisco setting up a city-wide programme to prevent the illegal disposal of hazardous and infectious waste. Her work in the UK has focused on the development of sustainable waste, energy and fuel poverty strategies for the public sector. Last year Karen took up her current role as Environmental Manager for Broadland District Council where she has successfully bid for £3.1m national grant funding to support fuel poor households throughout Norfolk. A West Norfolk CCG Project Manager, Shawn is responsible for optimising the use of Advice & Guidance (Eclipse Live) throughout the region. Helping to develop the systems capabilities and drive integration across the local health economy. He is also leading the implementation of the Norfolk & Waveney Integrated Digital Care Record working across the STP. This regional Care Record built upon Prescribing Services Ltd capability will serve a population of more than 1.2 million across the five Norfolk CCGs. Laura qualified as an adult registered nurse at the UEA in Norwich in 2008, and has spent 10 years working in secondary care settings within emergency medicine. She has now taken a side step into admission avoidance and prevention of complications of chronic diseases in primary care. Now based in a GP practice in West Norfolk, she works with an excellent team dedicated to admission avoidance. As well as maintaining a clinical role, she teaches core clinical skills to unregistered nurses in order to facilitate monitoring of chronic conditions allowing early intervention and enhanced disease management. She also plays a role in the Patient 500 project, providing remote monitoring of conditions and creating bespoke care plans aimed at preventing complications and ultimately reducing the risk of morbidity and mortality. Lisa graduated from Manchester University with a First Class Honours Degree in Pharmacy and undertook her pre-registration training in hospital. She has also worked for a number of years in the private sector as a pharmacy manager across various independent and multiple community pharmacy chains before becoming area manager for a pharmacy multiple. She took up the post of Prescribing Advisor for Hyndburn and Ribble Valley Primary Care Groups in 2000 and in 2001 graduated from Keele University with a clinical diploma. In 2005, Lisa gained her Master’s Degree in Health Services Management from Manchester Business School and in 2007 commenced her PhD from the same Business School undertaking research in performance and quality in Primary Care and graduated in 2013. Lisa has continued to work in a strategic role within the NHS in medicines management and service development with a particular focus on patient safety and clinical and cost effective commissioning. As well as medicines optimisation, Lisa is the strategic lead for diabetes and research for the CCG. Her current role is the Associate Director of Medicines; Research and Clinical Effectiveness. John graduated from Manchester University with a First Class Master’s Degree in Pharmacy and graduated from Aintree University in 2008 with his clinical diploma with a specific interest in COPD and spirometry. John attained his prescribing qualification in 2010 and has previously worked as a regional service development lead for a private company and has experience as a lecturer at the University of Central Lancashire before joining the NHS as clinical pharmacist working across primary, community and secondary care. John is currently responsible for the safe and clinically effective use of medicines, ensuring the principles of medicines optimisation underpin the commissioning of services where the use of medicines forms an integral part of the patient pathway. He is involved in ensuring effective health economy arrangements and processes are in place for local decision making on new medicines and incorporation of NICE-approved medicines within the prescribing formulary and treatment pathways. Ian provides specialist care for people with diabetes in the community and secondary care. Over the last 15 years, Ian has followed a specific interest in the management of diabetes in people who want to exercise or compete in sport. This work has been recognized by the award of the Royal Society of Medicine Gold medal in 2012 for outstanding achievement. Ian was special medical advisor to the London 2012 Olympics, and is now on the Faculty of Sports and Exercise Medicine. Ian’s clinical research is in the field of diabetes and sports, with studies concerning strategies to reduce dysglycaemia and improve performance with exercise in diabetes. What happens when a group of Health Care Assistants take over the management of long-term conditions and prescribing safety projects? Litcham Surgery is always looking to implement innovative solutions and the team feedback their experience in the way that these applications have enabled improved interactions and efficiency in the management of their patients. Chief Information Office, Norfolk STP. Anthony is the senior accountable officer for information management and technology at board level at NNUH, and holds corporate responsibility for the performance, quality and integration of the hospital’s Informatics services, including clinical and business information systems. He also holds a leadership responsibility across the wider area in support of the NNUH Chief Executive, Mark Davies, who leads on Information Management and Technology across the Norfolk and Waveney Sustainability and Transformation Plan (STP). Anthony has 18 years’ experience working within healthcare information technology nationally and internationally the latter 12 of those in the NHS. Prior to joining NNUH Anthony was the CIO at East and North Hertfordshire NHS Trust. PgDip Information Rights Law and Practice, Kafico Ltd.
Emma is an Information Governance Consultant that has worked with public sector and private organisations for over 10 years. She is a Data Protection and Freedom of Information practitioner with a passion for integration and information rights. Currently completing her information law masters with a focus on the privacy impacts of artificial intelligence in public sector decision making. I am an old age psychiatrist and I worked in the NHS from 1999-2010 as a clinician and researcher. During that time I developed skills in evidence based reviews and undertook Cochrane and other reviews. I expanded my research and completed 2 medication trials, one international screening attitude study and developed some research infrastructure system in Parkinson’s disease. In 2010 I moved to full time clinical research and was awarded a chair in 2015. My current research interests cover a wide range from bioscience through epidemiology, psychological interventions and health services research. My main areas of work have involved evidence based mental health, pharmacological and non-pharmacological interventions in dementia, collaborative projects in neurology and UK/US studies in dementia; both interventions and outcome research at the interface of primary and secondary care. I lead the PERFECTED and ASCRIBED programmes-with 40 NHS hospital sites testing an enhanced recovery programme in a RCT for people with cognitive impairment and hip fracture and evaluating inflammatory markers. I have an interest in frailty and have completed recently a validation project for the EFI and also looking at the impact of data to aid care pathway planning.